Ahh, I'm very happy that you're pleased with how the photographs came out - these are some of my favourite if I do say so myself! And yes, I still really want those sunglasses! Aw I love your sunglasses! 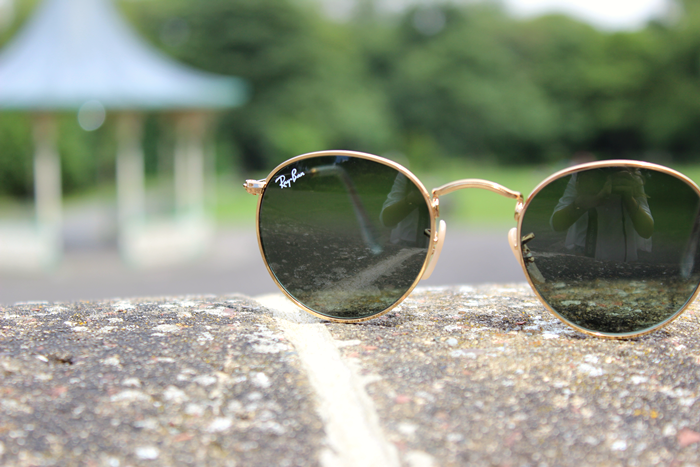 I wish I could afford a pair of raybans! looking lovely as always. I only own two pairs of sunglasses, shameful i know. i've noticed recently you've been having some ups and downs with your blogging but seriously you are one of my all time favourite bloggers, your photos always look beaut and you've actually inspired me to start attempting some outfit posts. keep it up! 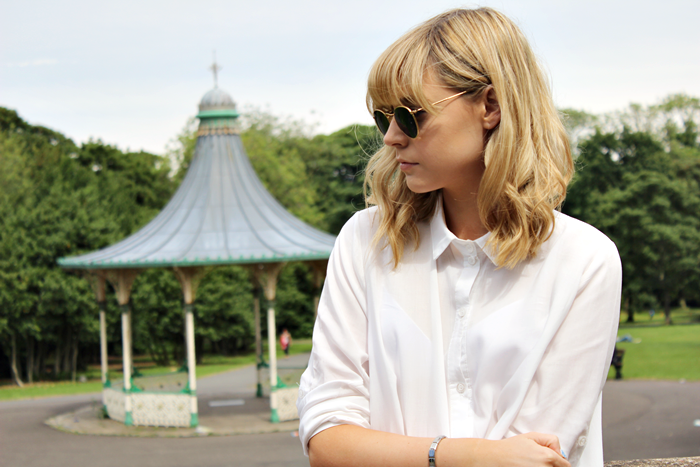 loving the round ray bans! such a cute outfit, love the blouse! Such a lovely outfit, the blouse is so pretty! You have such beautiful style.